It feels like each starter should have at least two more wins on their record, and for some of them perhaps one less loss or two. The starting pitching has been absolutely phenomenal, though their win-loss records are not as pristine as they could be for one primary reason: the offense isn’t scoring enough runs for them. 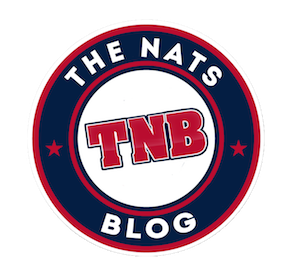 Sure, the bullpen has blown its fair share of leads and has flushed a few of those starters’ wins down the toilet, but overall, the Nats have not been scoring enough runs. They haven’t been timely and usually not early, keeping the starters in a tie or close game late and denying them an opportunity for a win. And there haven’t been enough. 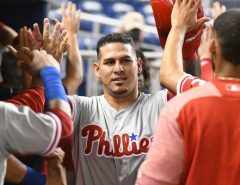 A starter can give up one or two runs a game and lose, which shouldn’t be the case, as a lot of games the bats can’t muster up even that many runs. Everyone’s ERA is solid and the numbers are great, but there aren’t as many wins as there should be. The problem? Score more, and score early. And score more. The Nats have been doing plenty of great hitting in the first inning, collectively batting .303 in the opening inning, but the numbers aren’t nearly as pretty in the following innings. Their overall batting average is .242, which is much lower than you want it to be. Their average with RISP is .250, which is okay, but not nearly what you want for a clutch situation. 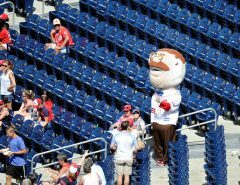 Long story short: the starters need run support, and the Nats hitters need to find a way to give it to them. The starters are doing their part: they have a 2.65 ERA when they have 0-2 runs of support, but they are only 2-8. They are busting their tails, but they are seldom getting rewarded. The hitters need to have their backs and give them a little breathing room. 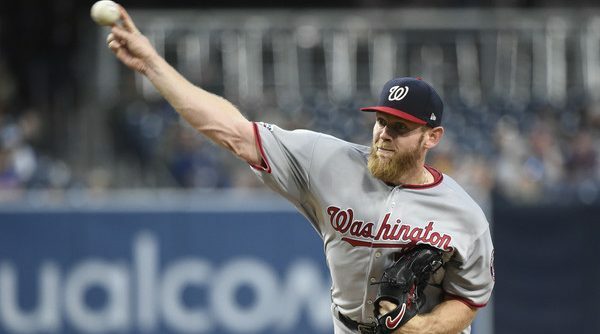 If the offense gets going and scores more runs, the starters won’t feel as much pressure and won’t feel the need to stretch themselves out every game, and there won’t be an ultimate strain on a bullpen that will likely start collapsing. 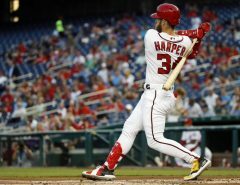 A healthy ballclub relies on hitting, and the Nats aren’t doing that as much as they should be. They have looked like they’re coming alive over the past few weeks, but every now and again they slip back into their old ways that have me worried. I wait for the day I’m not truly worried, but I don’t think that day will come until Daniel Murphy, and possibly Adam Eaton along with him, is healthy and back out on the field again. As always, health is the thing that will help this team and offense click on all cylinders.